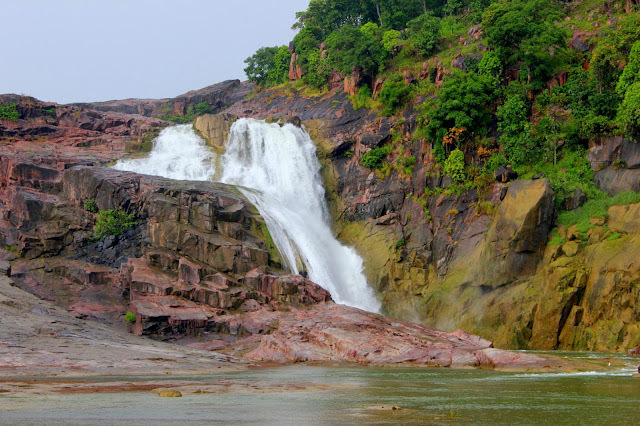 Kuntala waterfalls is one of the best and highest waterfalls in Andhra Pradesh. I planned to visit this waterfall so many times from the past three years, but never get a chance. 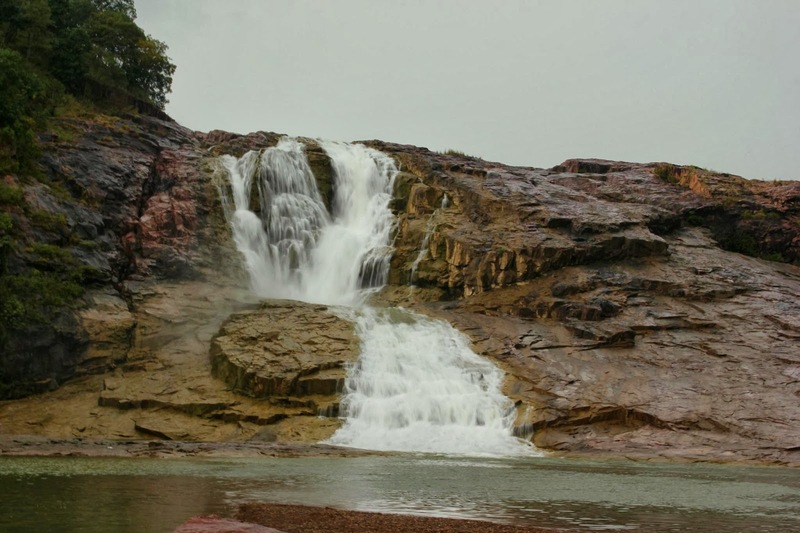 As part of our one day trip to sahastrakund waterfall, we included kuntala also to the list. 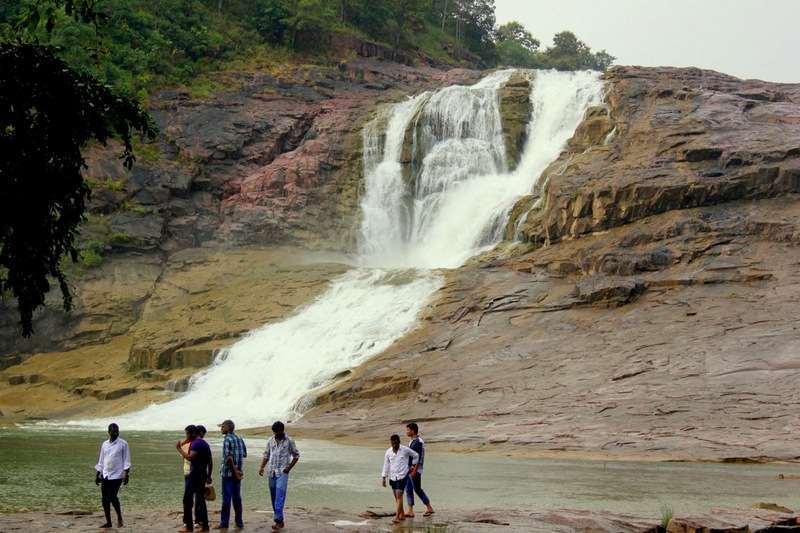 I should thank my friend Soorya Prakash for organizing such a beautiful one day trip to kuntala and sahastrakund waterfalls. Kuntala is located in Adilabad district of Andhra Pradesh. 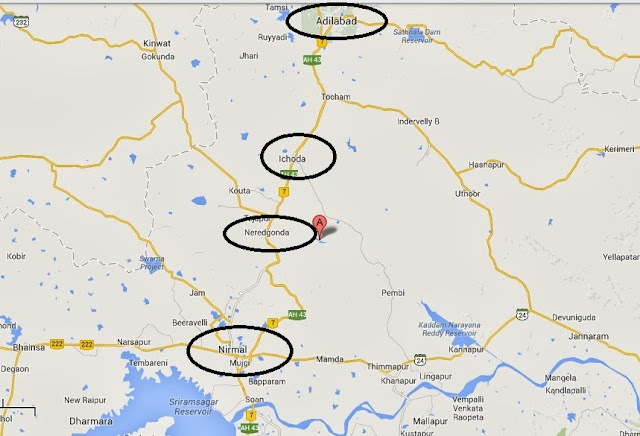 This is located on the Hyderabad -> Adilabad highway near to Neredgonda. Kuntala is located at a distance of 270 km from Hyderabad, 42km from Nirmal, 55km from Adilabad, 12 km from Neredgonda, 180 km from Nanded. Board any bus that goes from Hyderabad-> Nirmal. Get down @ Nirmal and board bus that goes to adilabad via Neredgonda. 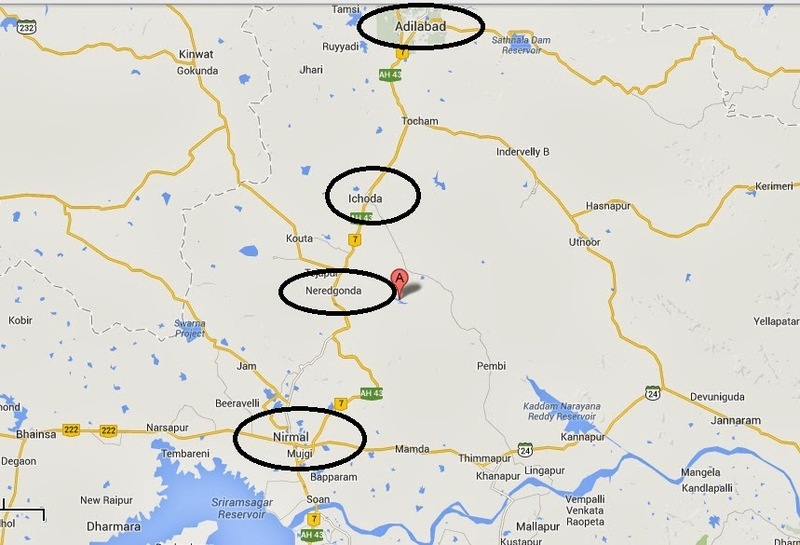 Hyderabad -> Medchal -> kamareddy -> Armoor -> Neredgonda. This is a four way highway. You don't have to enter Nirmal, Armoor, kamareddy towns. In neregonda, get down the service road, then take the right turn after the auto stand. After taking right, go straight. Road from Neredgonda -> Kuntala is not so good. Get down at Adilabad railway station and catch a bus from adilabad -> neredgonda. From neredgonda, better hire a 7 seater auto for the round trip. They will charge between 300-500 for the whole auto. 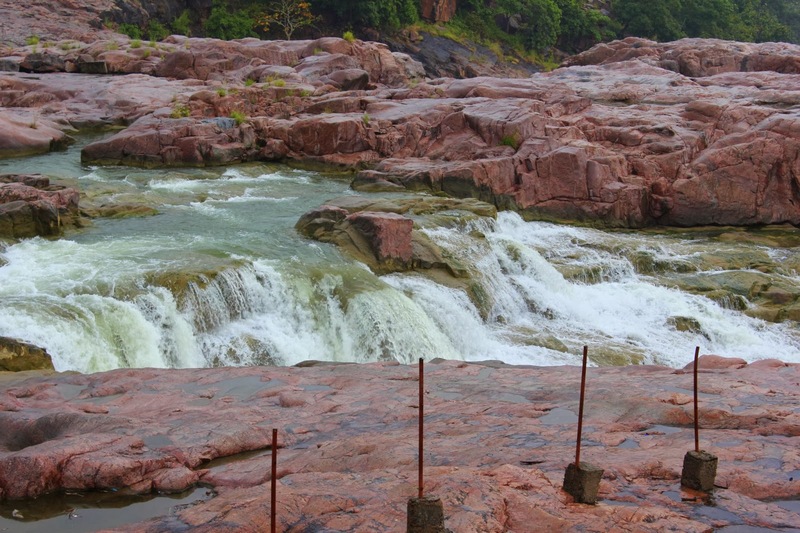 Nirmal at a distance of 45 km or Adilabad at a distance of 55 km from kuntala waterfalls have good hotels to stay. There is no accommodation facilities available near the waterfalls. There are many small food joints present near the parking. Snacks, drinks are available in those food joints. If you tell them in advance, they will prepare lunch also. Food is not so bad. Don't ever try to get inside the water. 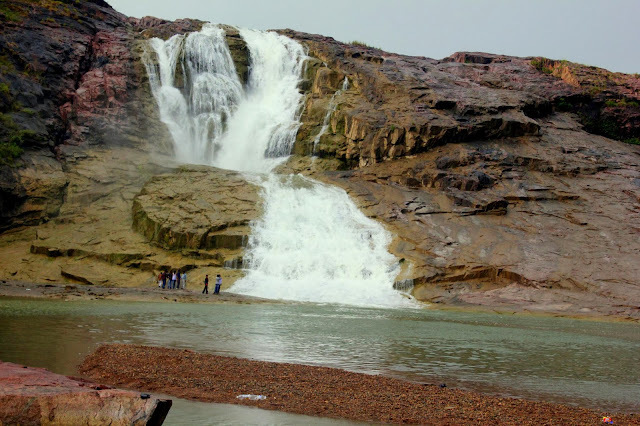 Every year minimum of 50 people are losing their lives in kuntala waterfalls. 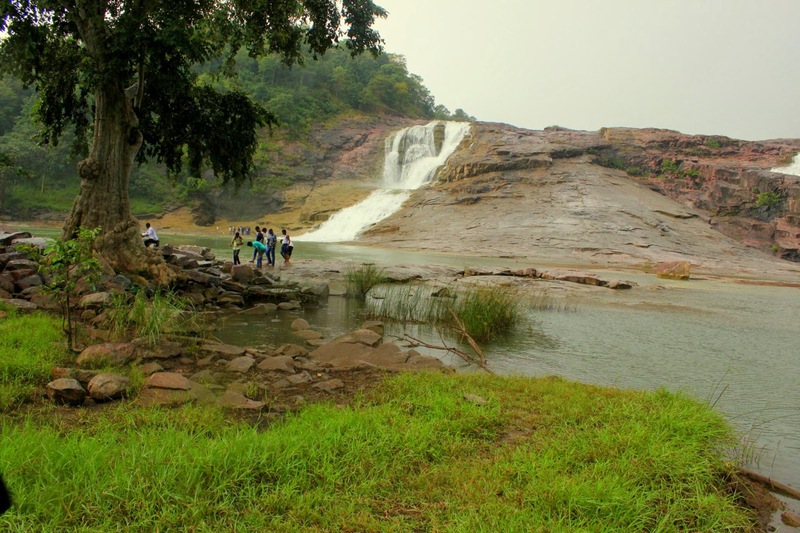 Be very cautious when you are near the waterfall, specifically in monsoon. There is separate parking facility available near the waterfall, so you don't have to bother about your vehicle security. Mostly avoid going to this waterfall after 5PM. It will take at-least 2-3 hours to enjoy the beauty of waterfalls very leisurely. 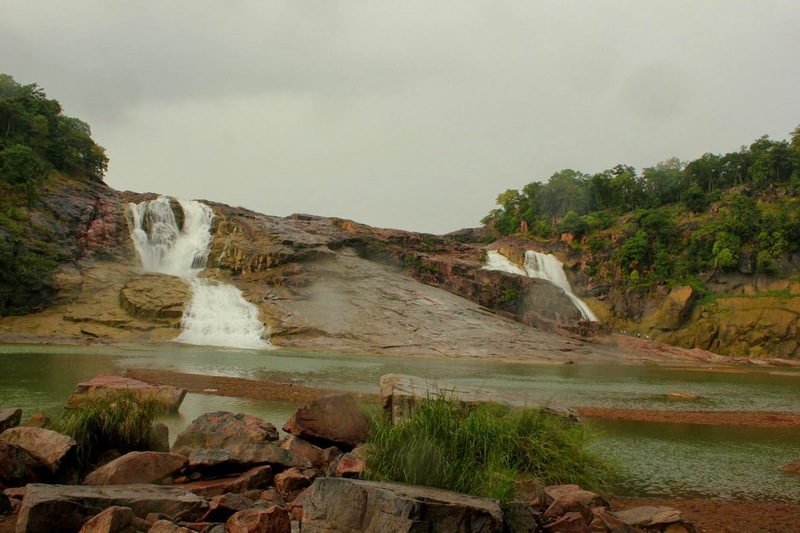 Its better to reach this waterfalls @ around 10AM in the morning, spend 3 hours, eat lunch, then start from kuntala @around 3 PM. We reached nirmal @ around 1 PM and planned to board bus to neredgonda after having some food. But we found that there is one bus readily available to neregonda, so without eating anything, we boarded the bus. 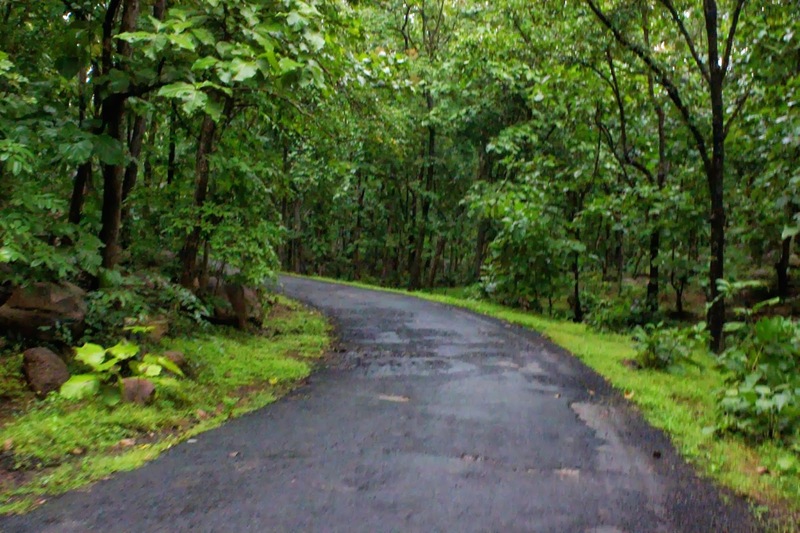 Road from nirmal -> neregonda was awesome, goes through ghat road, forest, and beautiful highway. It took almost 1 hour to reach neredgonda from nirmal. We hired an auto for the round trip, for which they charged 350rs. From neredgonda to kuntala, road is in very bad condition and it took almost 1 hour to cover just 12 km. We reached waterfalls parking area at around 3PM and told our driver that we will back by 4.15PM. Waterfalls top view is around 10 minutes walk from the parking area. By the time we reached the waterfalls, it was raining heavily and we trekked down the waterfall in that heavy rain. Luckily I'm carrying a camera rain cover, so I put my camera inside my rain cover and started taking pictures. There are two small waterfalls on the top of the main waterfalls. Those are small, but the rock formations around those waterfalls made them look beautiful. Rocks are so slippery and we have to be very careful while walking on those rocks. 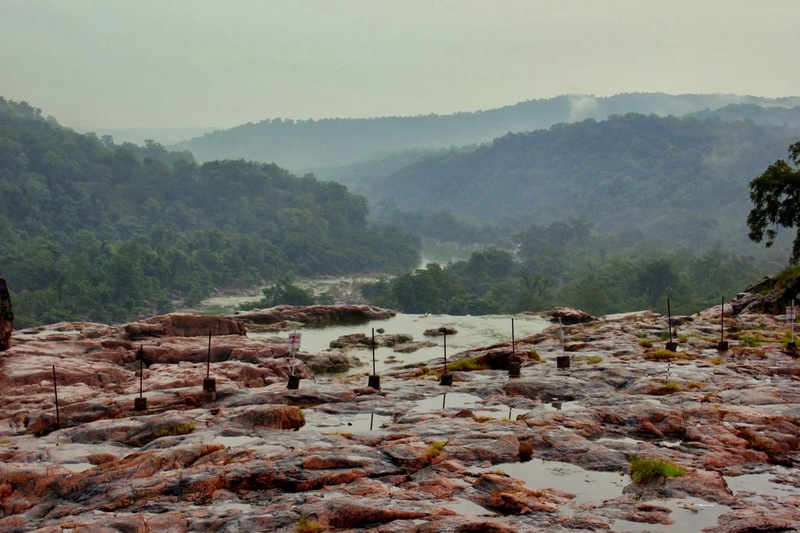 After spending there for 30mins, we started trekking down to get the view of the gigantic kuntala waterfalls. We climbed down 100-200 steps to get the view of full view of waterfalls from the bottom. In order to get good view of waterfalls, go towards the big tree which is located in the middle of the stream. This is the best place to get the beautiful view of waterfalls. But the way to reach that tree was very slippery, so be cautious. We spent almost 20 mins under that tree and started back. Over all we were able to cover the waterfall in just 1.5 hours. When we reached the parking, our auto driver wasn't there. So we waited for almost 30 mins for our driver and finally auto which we hired came to the parking, but one of the tire was fully flat. We don't any option to change the tire and he don't have the extra tire too, so we decided to proceed with that flat tyre. It was a horrible journey and it took almost 1.5 hours to reach neredgonda. We reached neredgonda and boarded bus to Nirmal. When we reached nirmal, luckily there was a bus ready to start to Hyderabad We immediately boarded that bus and reached Hyderabad by 11PM. That's about my trip to AP's highest Kuntala waterfalls. Happy Travelling. is it good to visit this in April? 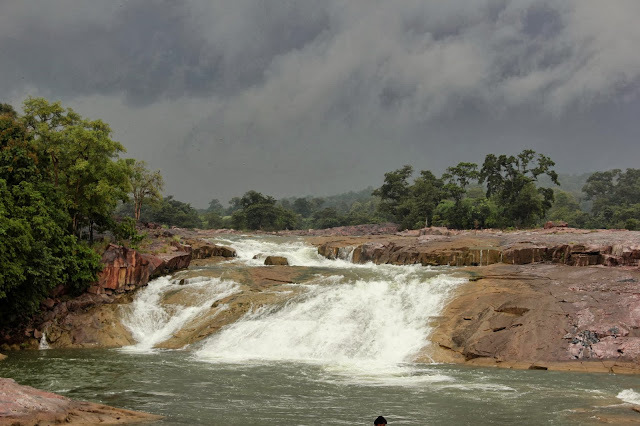 Monsoon is the best time to visit kuntala. Water flow will be very less in summer. From nirmal can we get bus readily available or we have to book prior? There are plenty of buses available from Nirmal ->Adilabad. No advance booking is required. Before boarding the bus, check with driver, whether the bus stops at neredgonda.